Each year on the second weekend in May, World Migratory Bird Day celebrates migratory birds and raises awareness about the need for their conservation. 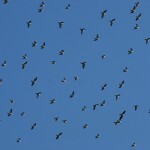 Since World Migratory Bird Day began in 2006, events have reached 118 countries. 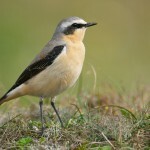 In 2012 alone, over 250 events were celebrated and this year it is hoped to motivate even more people and organizations to connect and work together towards conserving migratory birds worldwide. 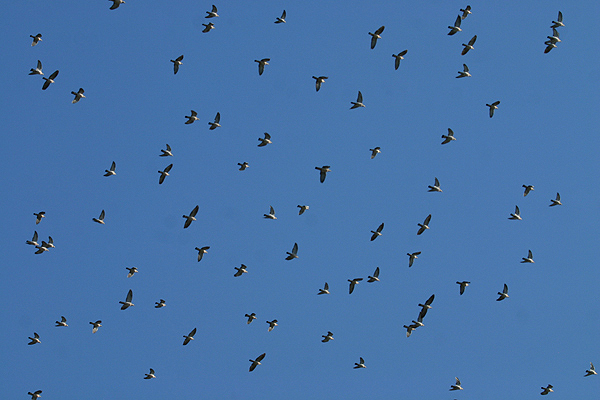 Migratory birds travel huge distances along their migration routes, sometimes even tens of thousands of kilometres. 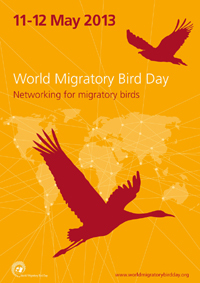 This year’s World Migratory Bird Day theme “Networking for migratory birds” highlights the importance of networks of sites for migratory birds along their migration routes. 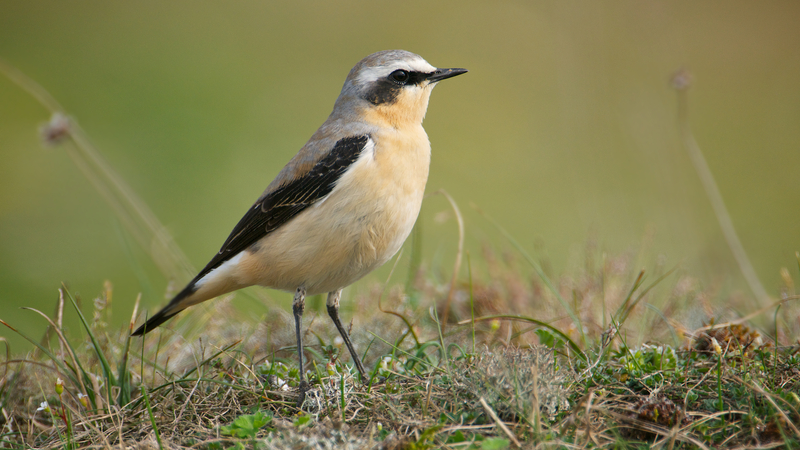 These connected sites act like ‘stepping stones’ birds use to migrate and are important for resting, feeding, breeding and wintering. Many sites that birds depend on are under threat from human activities, thereby posing a grave risk to migratory bird species. Direct human activities such as land reclamation and deforestation, as well as indirect human influences such as climate change, damage these sites through habitat fragmentation and degradation. Large numbers of important sites have already been damaged, or lost entirely. 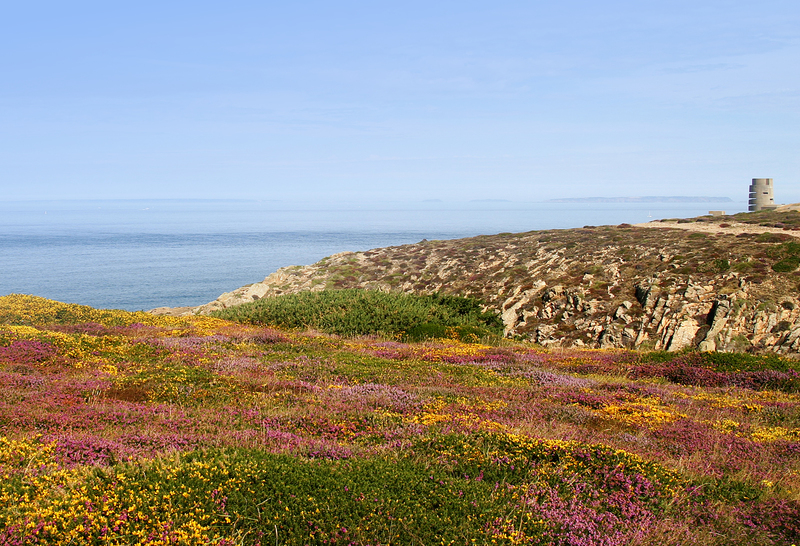 The conservation of these important sites is crucial for the protection of avian migratory species. World Migratory Bird Day was initiated in 2006 and is an annual awareness-raising campaign highlighting the need for the protection of migratory birds and their habitats. World Migratory Bird Day is jointly organized by the Secretariats of the Convention on the Conservation of Migratory Species of Wild Animals and the Agreement on the Conservation of African-Eurasian Migratory Waterbirds – two international wildlife treaties administered by the United Nations Environment Programme – and a growing number of partners.